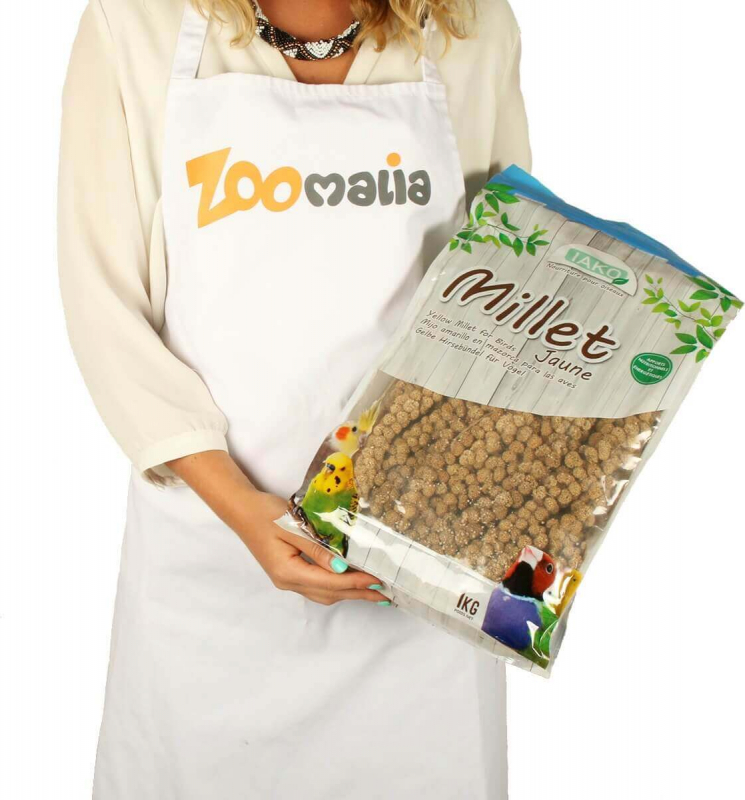 Millet can be hanged in the bird cage and left as self-service. 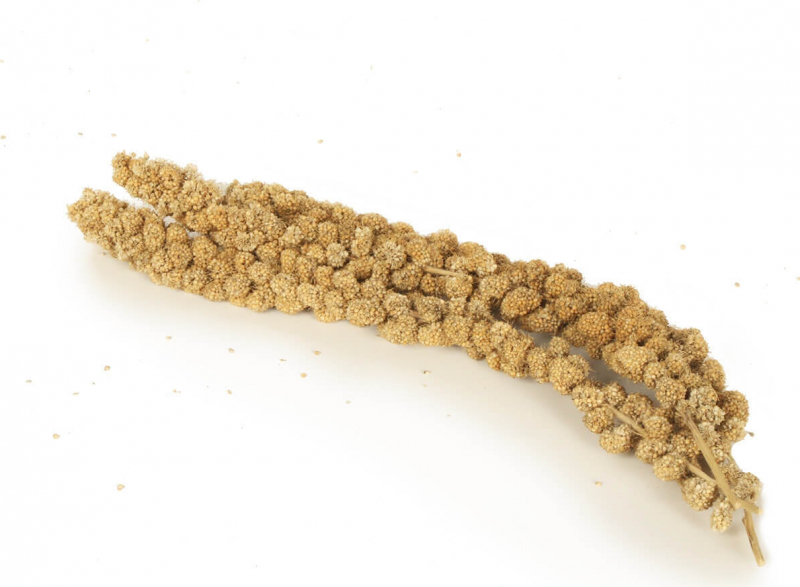 The birds take great pleasure in clinging to the millet branch and pecking at the seeds throughout the day. 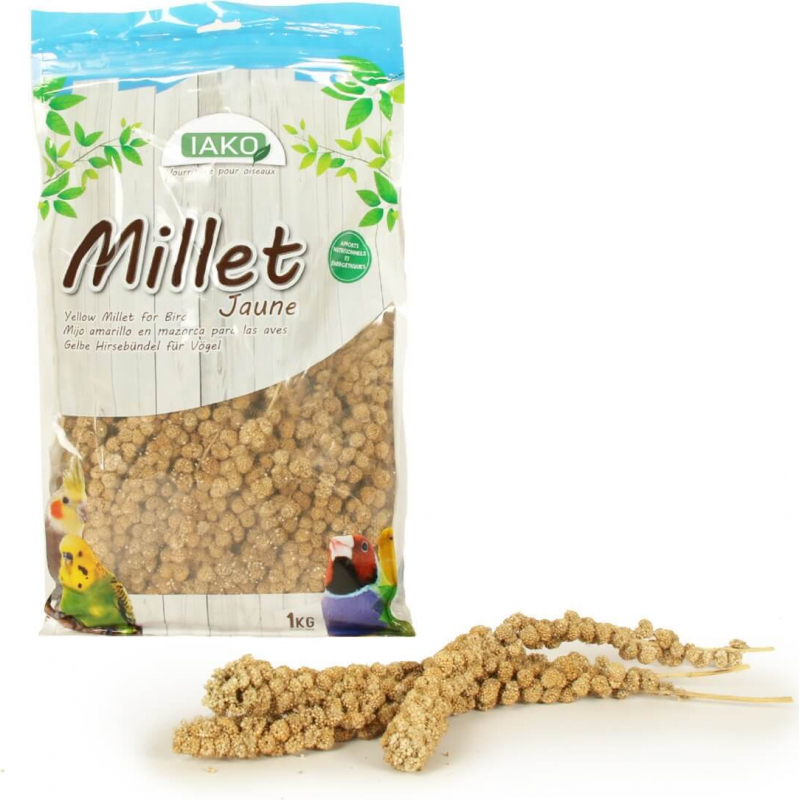 Very palatable, the IAKO yellow millet is a 100% natural food. 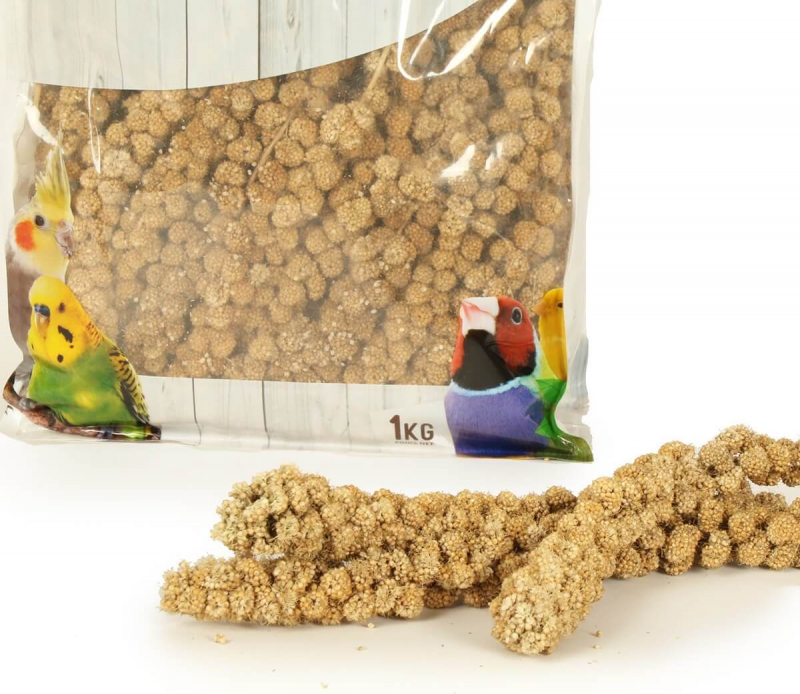 It is suitable for all birds and also for birds during the breeding season, young birds, sick or recovering birds. 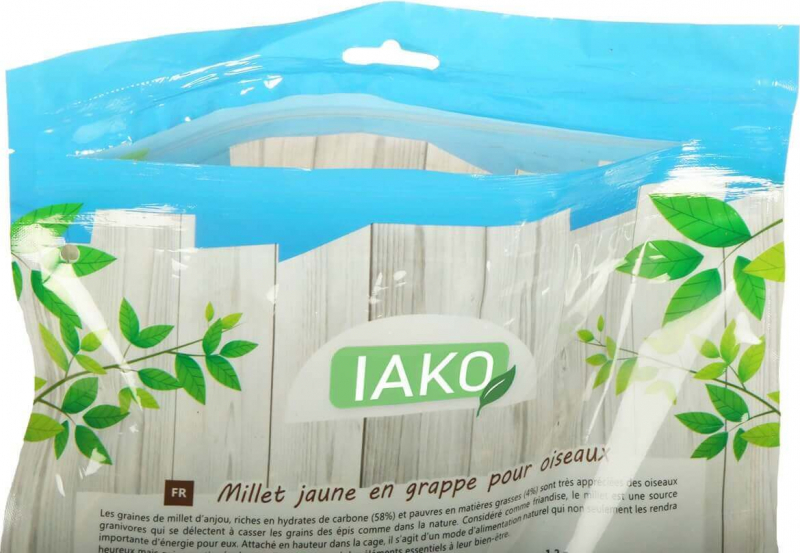 Proposed in a 1kg bag, the millet branches are about 30cm long each. 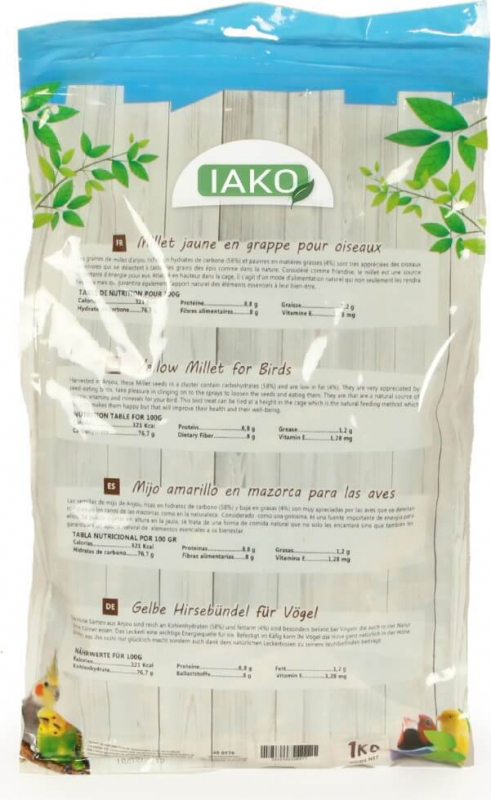 They will easily keep in their re-sealable bag.